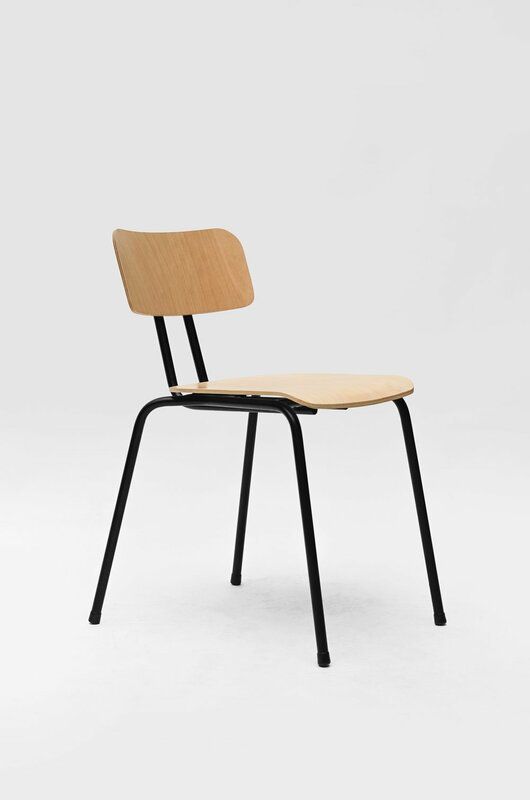 Functional design inspired us to create a basic chair. The core of construction features a powder coated steel frame. The seat and the back are made from barely noticeable curved plywood in order to repeat an outline of a human body. The chair is exceptionally simple, while proportions of the frame, the plywood back andseat bring a sense of weightlessness and elegance.